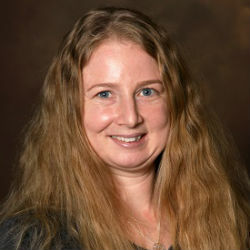 Ms. Mara Chiocca, MOT, OT has been honorably invited to join the Occupational Therapy Board of the American Health Council, in recognition for her outstanding achievements in the field of Occupational Therapy. Ms. Chiocca has worked in her field of Occupational Therapy for 11 years of which she has spent over half in her current position at Edwards Hospital part of the Edward-Elmhurst Health. 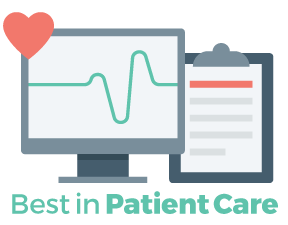 Edward-Elmhurst Health is one of the larger integrated health systems in Illinois after the merger of Edward Hospital and Elmhurst Memorial Healthcare in 2013. 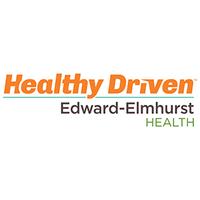 Comprised of three hospitals – Edward Hospital, Elmhurst Hospital and Linden Oaks Behavioral Health – Edward-Elmhurst has more than 50 outpatient locations across a service area of 1.7 million residents in the west and southwest suburbs of Chicago and offers a variety of services including Emergency Care, Behavioral Health and Neurosciences. Ms. Chiocca’s role in occupational therapy sees her specialize in the areas of neuro, cognition, vision, stroke care and concussion care. Her daily responsibilities include practicing in-patient and out-patient environments and providing her patients with neuro-intensive care – a medical field that treats life-threatening diseases of the nervous system and identifies, prevents and treats secondary brain injuries. It was after suffering a stroke at 13 years old that and the level of care she received that made Ms. Chiocca realize that she wanted to study for a future career in Occupational Therapy. Ms. Chiocca began her education studying at the Valparaiso University where she received her Bachelor’s in Psychology in 2004. After this accomplishment she went on to continue her studies at the Midwestern University where she completed her studies, achieving her Master’s in Occupational Therapy in 2006. To help broaden her knowledge and further her career, Ms. Chiocca has an involvement in professional associations including the Illinois Occupational Therapy Association (ILOTA) and with a particular interest in the ILOTA Newsletter Committee. She also has a keen interest in the Society of Critical Care Medicine having a role in it’s ABCEDF Bundle Project and is a also leader on PHQ-9 Depression Project for the stroke population. In respect of her accomplishments through her career, Ms. Chiocca received the Clinical Instructor Award from the Midwestern University. Ms. Chiocca has remained proud of her efforts and achievements in her studies throughout her career also being certified in Impact Concussion testing. With a supportive team around her, she attributes her success to this and the ability to look for solutions when looking at the entire picture. Looking to the future Ms. Chiocca would like to invest more time into conducting research into Cognition Screenings which assesses the abilities involved in thinking and also has a desire to continue in higher education. Outside of work, she enjoys playing sports and spends her time traveling when possible. After her childhood experience, Ms. Chiocca also takes pride in being leader of a stroke support group, fulfilling this role for 10 years. Director and Occupational Therapist at A.T. Services Inc.
Comprised of three hospitals – Edward Hospital, Elmhurst Hospital and Linden Oaks Behavioral Health – Edward-Elmhurst has more than 50 outpatient locations across a service area of 1.7 million residents in the west and southwest suburbs of Chicago.